Researching the wheat weevil for the StellrScope project and working with CSIRO entomologists, Dr Eleanor Gates-Stuart discovered that there is a problem in identifying the weevil’s internal genitalia that is a key discriminative character between species. 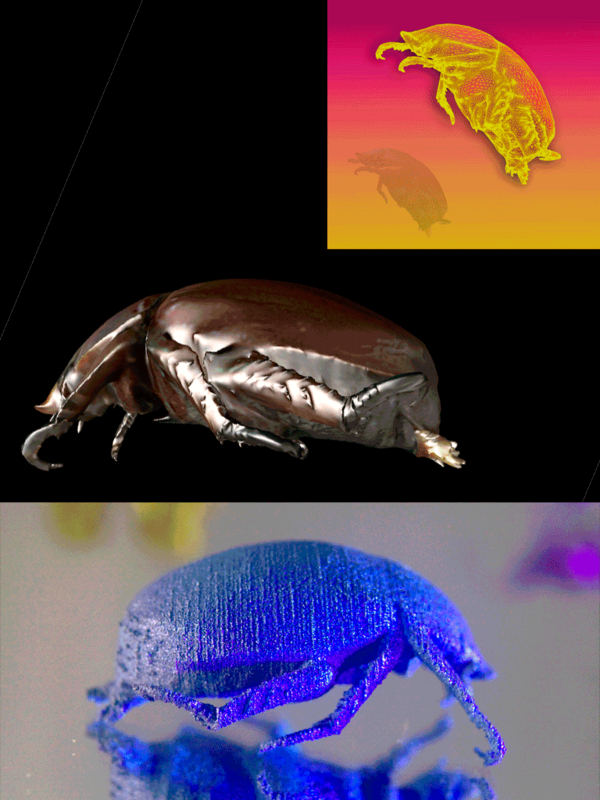 This became a mutual challenge for both artist and scientist, to discover a method for the virtual construction of the insect and to capture as much information and detail as possible so that the insect could be rescaled as a 3D model, and to any size. 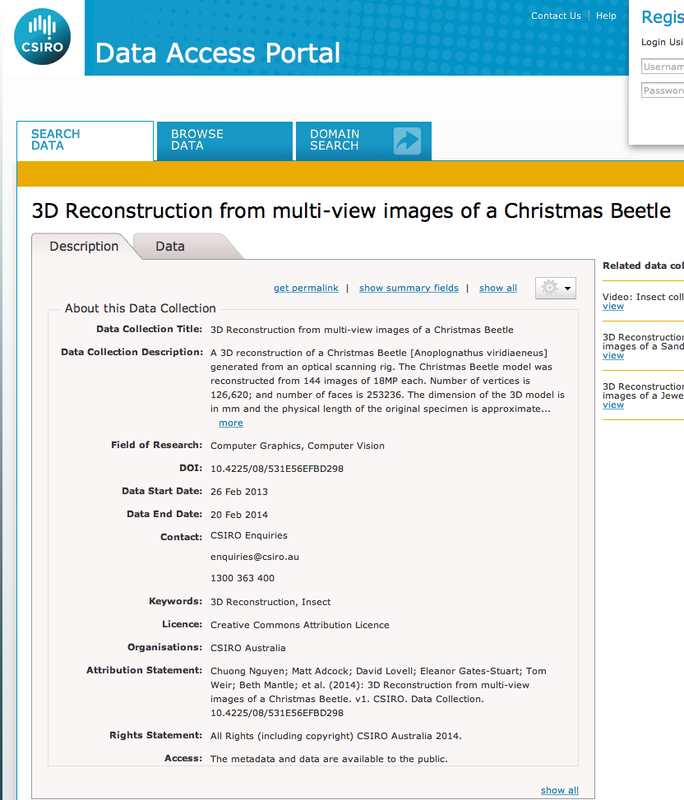 The concept for virtual 3D insects was already in development with research scientist, Dr Chuong Nguyen, scanning insects for his research on automating 3D scanning processes for the Australian National Insect Collection. Together, they began looking at the possibility of projecting images of insects on architectural buildings as the possibility to scale the insect true to scale, in detail and oversize became an interesting challenge in retaining textures and body mapping. 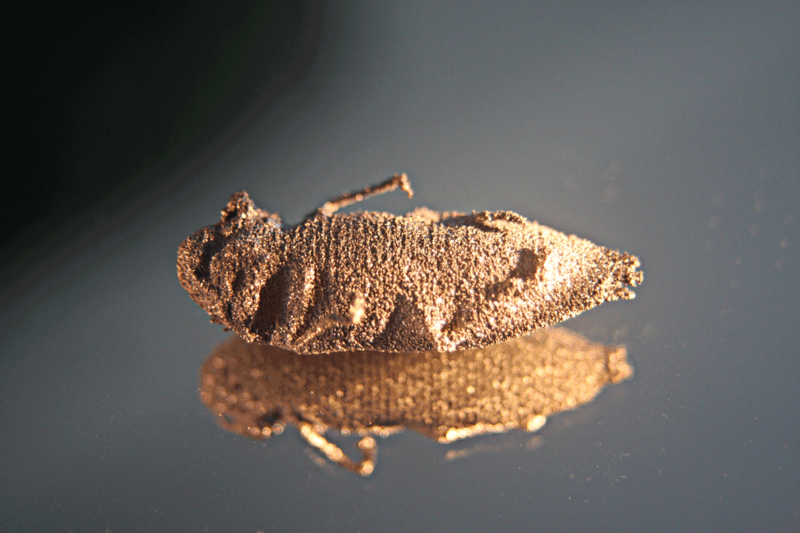 The 3D titanium insects idea evolved from researching the weevil a visual analogy to represent the body strength of the insect, super tough, and 3D titanium printing was the solution. Poster: Nyugen, C.; Lovell D.R., Oberprieler, R., Jennings., Adcock, M., Gates-Stuart, E., LaSalle, J. 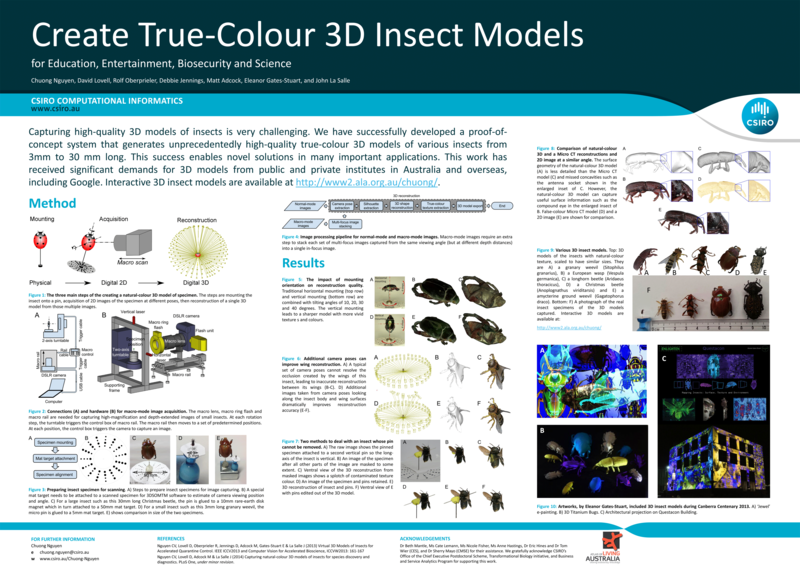 (2013) Virtual 3D Models of Insects for Accelerated Quarantine Control, In 2013 IEEE International Conference on Computer Vision (ICEVW), Sydney. Interview: Davis, E. (2013). 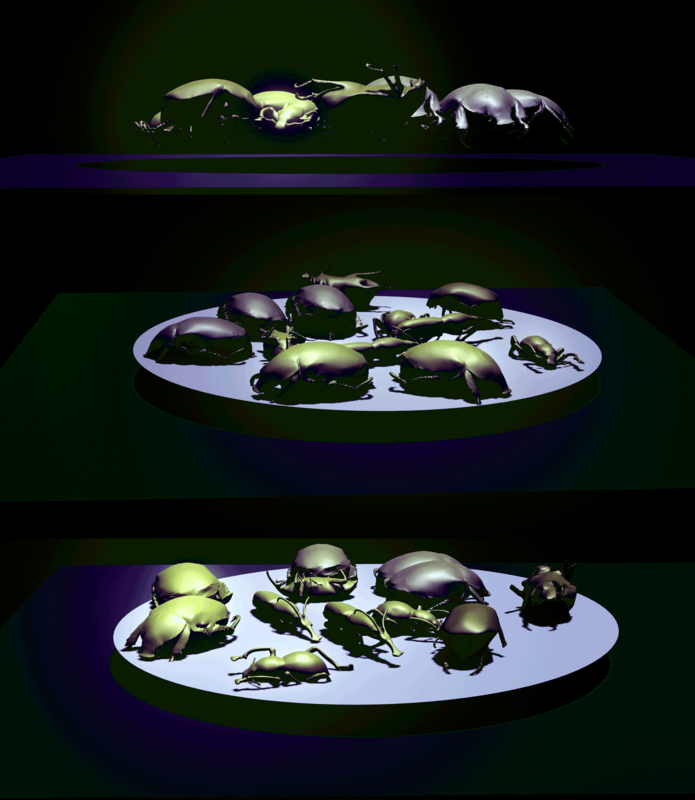 3D Creepy Crawley Bugs: Behind the News. ABC Behind the News.